Brace yourselves because Which Wich, the “Superior Sandwiches” are officially coming to Catholic University on October 15. Which Wich will be replacing the Subway that was located in the Pryzbyla Food Court. The franchise was founded in 2003 and is a fast casual food chain, founded by Jeff Sinelli. Which Wich has come to Catholic University thanks to the large amount of feedback from students involved in the Dining Services Advisory Board (DSAB). 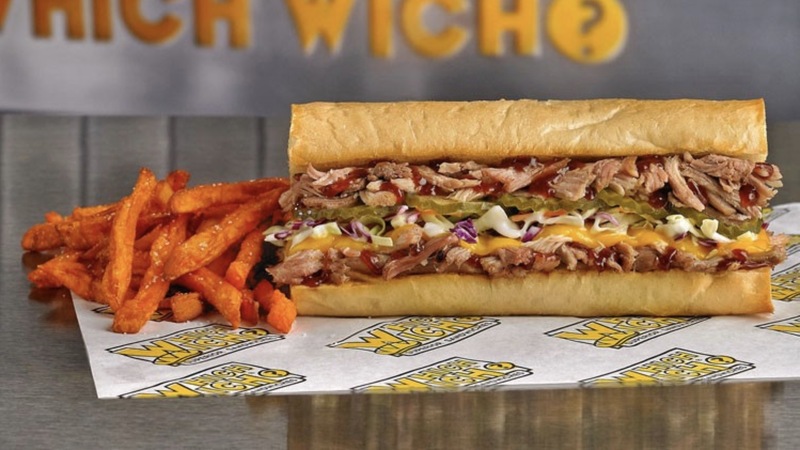 Due to the feedback from monthly meetings as well as the general popularity of Which Wich on other college campuses, the board in charge of updating the food at Catholic U is very excited for the implementation of Which Wich. “We want students to always be excited about coming to the Pryz, and what we’re offering to eat is a huge part of the student experience,” said William Jonas, the Executive Director of University Events and Dining Services at Catholic University. Jonas also emphasized the need to have variety for the students as they can get tired of food easily, just as they would at home. Which Wich was also a great option due to the menu. The menu has ample choices and caters towards children, allergies, vegetarians, those who require gluten free and vegan options. Which Wich is an entirely new option for students, which can be a great opportunity for many to enjoy a fresh new food experience at school. “Which Wich is so good, Subway is like gas station food and Which Wich is like 5 star restaurant food,” said Hannah Herron, junior management major after she went to the nearest Which Wich location near the White House. “We believe that a great sandwich has the power to make any day better” is stated on the sandwich shops website. The attitude Which Wich has as a franchise on food brightening people’s day is in it of itself uplifting, and has the potential of being very true for many people on campus. The franchise is fairly young and prides itself on the vibes it gives off, a concept that generally appeals to many college students. This aspect of Which Wich sets it up very nicely for its new role in the food court, and may become a staple in many students meals on campus. Which Wich has a great reputation, making it a common topic in students daily conversations as they anticipate the arrival of the restaurant. It seems like there is potential for this franchise at Catholic U and this is most certainly good news for many people on campus. All in all, the “superior sandwiches” are coming very soon and are providing a brand new food experience here at Catholic University.